I have always been honest about the regrets I have surrounding Josephs death, the many questions which keep me awake at night, going over and over the things we did, and the things we didn’t do, wishing with all of my heart that we could go back and change them. I guess one of the biggest regrets I have of that time is the way in which we dealt with our loss around a two year old Lewis who was scared, and uncertain, and so incredibly confused as to where his little brother had gone. I’ll be honest with you, I don’t remember the moment we sat him down and told him that his little brother had died, although I know that we did; and nor do I remember how he had reacted at the time, although I’m sure it was with utter bewilderment. But what I do remember is the look on his face as he watched me break down day after day, the fear in his eyes as he realised our entire world had turned upside down, the way in which he gripped my hand and refused to leave my side, desperately trying to remind us that he was still here, that he needed us to be okay. Those moments, I will never forget. And later, with every subsequent loss, as we returned home from the hospital with our hearts in pieces, as we sobbed over scan photos and a lifetime we had planned, I don’t remember a single moment when we had sat him down and told him why we were so sad. Even as the years passed, at seven and eight years old, when he was fully aware of our struggle to give him a sibling, we never invited him to share in our heartache with every baby we had loved and lost. And I regret that, absolutely. Because now, at fourteen, when we talk about Joseph, and particularly about the 15 babies we lost along the way, Lewis often says, “Why did nobody ever tell me?”. And its hard to explain to him that I thought I was doing the right thing at the time, trying to protect him from all of that hurt, trying my hardest to keep things as normal as possible, and, ultimately, that I just didn’t have the words back then to explain to my child, sixteen times over, that my whole world had ended. 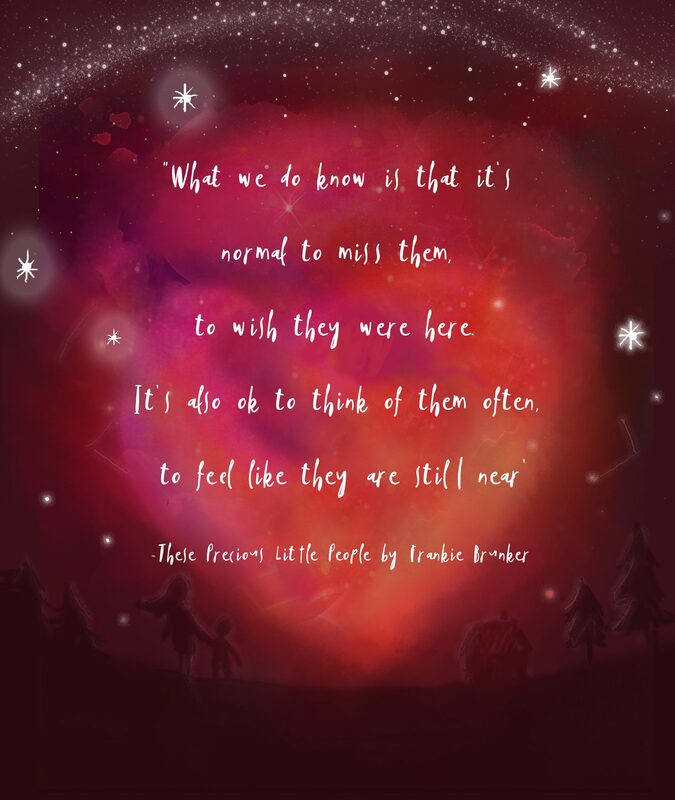 And so earlier this month when a chance meeting led me to Frankie Brunker, author of These Precious Little People, I instinctively knew that I wanted to reach out and offer to share her story on the blog. 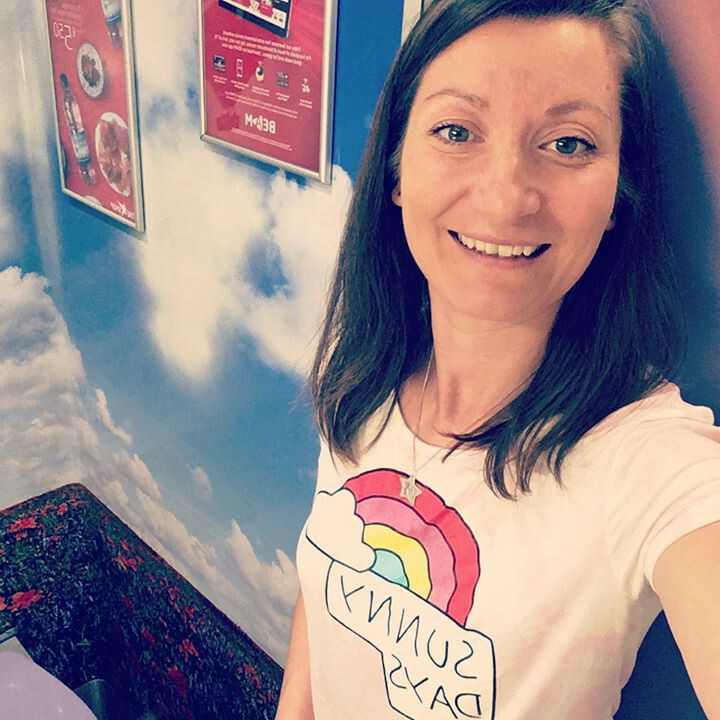 Having spoken to Frankie, she explained that, following the stillbirth of her first daughter, Esme, it was incredibly difficult to explain her death to young children within the family and this was made harder by there being no children’s books aviailable that could explain accurately what had happened whilst in a beautiful and moving way. She also wanted more guidance as to how she could retain Esme’s place in the family in positive and special ways. And during that grieving process, she was inspired to write a book, These Precious Little People. 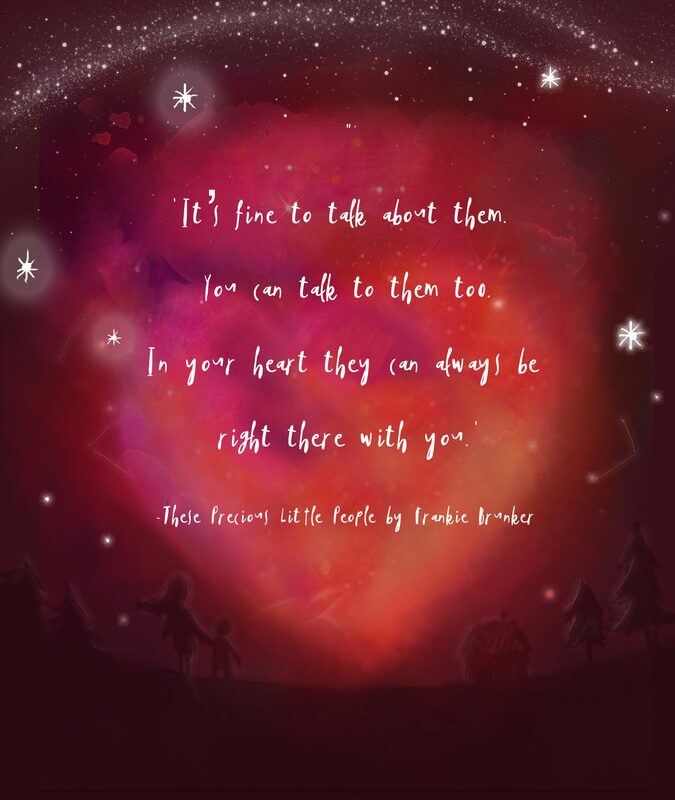 Illustrated by Gillian Gamble, an illustrator and photographer with a particular interest in storytelling, the story centres around Frankie’s belief that parents should have a book that helps them to talk to their other children about their family’s ‘missing piece’. Most of us know someone who has experienced the loss of a baby, either through miscarriage, stillbirth or neonatal death, even if they haven’t spoken about it. Every day in the UK around 15 babies die before, during or soon after birth. Since spending time researching this project to draw the illustrations, one of the things that Gillian found that comes up over and over is parents’ wish that others would TALK to them about their child, even ask to see a photo of them. These little people were and are precious. Gillian has therefore tried to create artwork and imagery around universal themes so that this book is useful for those of any faiths or none. It was particularly important to Frankie that the book had a clear-cut-no-nonsense language that didn’t try and soften the blow with euphemism or platitudes. She wanted a timeless, rhythmic text that was easy to read but equally, time can be taken to pause and linger over stunningly beautiful images. Of course, Frankie knows that the book won’t be for everyone, there is no ‘one size fits all’ book for such an emotive subject matter, and everyone’s experiences and grief are so different. That said, there is absolutely a place for this book as we all too sadly know, and I think it will be such a useful and comforting resource for those who, like me, had no idea how to deal with such a tragic loss with an older sibling. I really believe in this book and hope that those of you who need it will find comfort in it, in just the same way that we will. 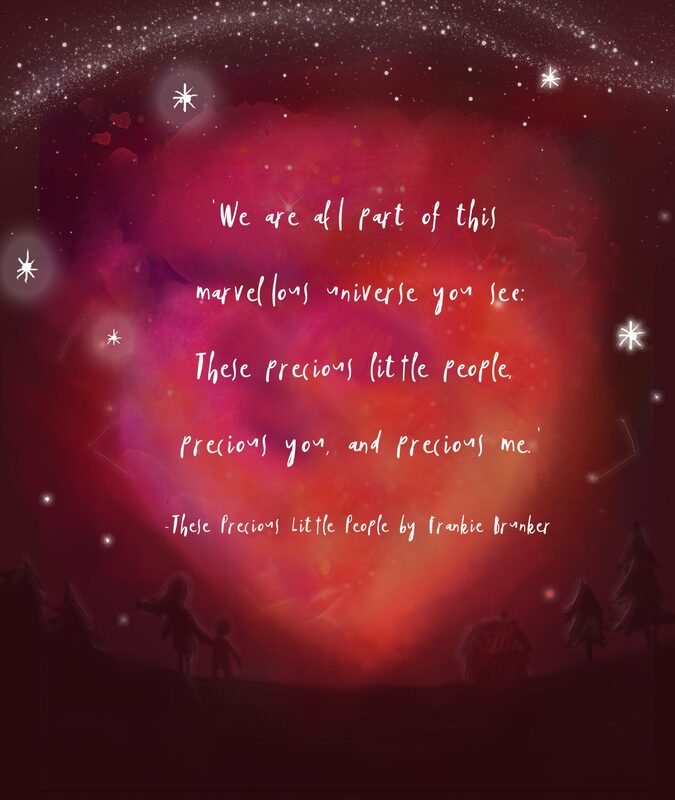 You can pre-order a standard copy for £7.50 by donating money to the crowdfunder-style campaign to get the book printed (https://www.goldengiving.com/fundraising/ThesePreciousLittlePeople), and can request a dedication to a baby/babies within the book if you donate £20 or more. All money raised by the publication of the book will go to the charity Joel The Complete Package; they support bereaved familes who have experienced the loss of a baby, especially through pregnancy and/or parenting after loss. This sounds like a lovely book and one which is much needed. 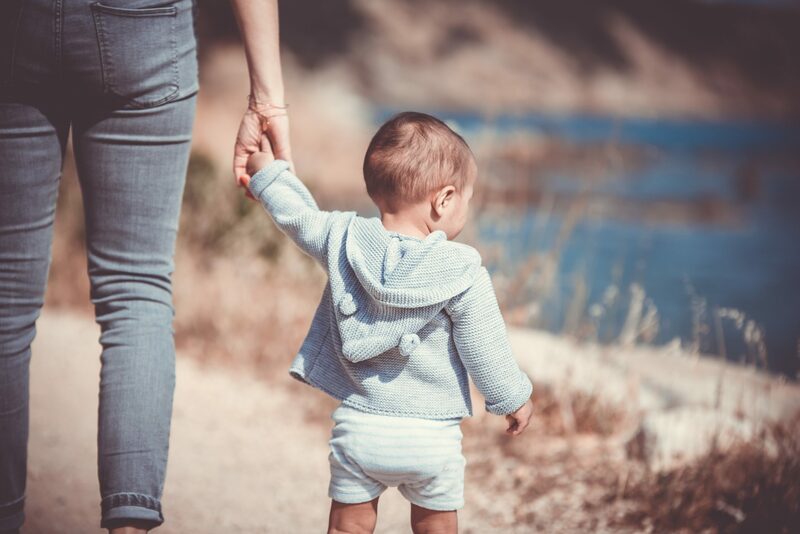 It can be easy for adults to try and protect a young child from the realities and emotions of the loss of a baby but if Lewis is an example, they need explanations and to be talked to about it as much as adults do. I think other parents who have experienced baby loss will find this book invaluable. So glad books like these are being made and are available to help people in these difficult situations. Greif is such a hard thing to deal with and process, nevermind helping a child with it. What an incredible book it sounds like it’s going to be such a useful support tool for those families coming to terms with loss. What a lovely book! I suffered two miscarriages years ago and I don’t remember how we told our other children, but I sure wish I would have had this book back then. It’s amazing! Wonderful that someone took the time to write a book to help people explain to children the loss of a baby. The book looks wonderful and hope it sells well. Sounds like an incredible book. I am so incredibly sorry for your loss. It definitely can be incredibly tricky to figure out what the best thing to do in every situation. It sounds like you handled things the best you could and you shouldn’t be too hard on yourself. There is no manual on how to handle grief and loss. I can’t even imagine. I am glad there is a book out there that can help. I can see how it will be popular. I will check it out for sure. I can’t even begin to imagine what it was like. 15 babies? Oh my goodness. I guess at that time you and your husband were dealing with the loss in your own way. From what you’ve been writing about Lewis, he seems to he a lovely intelligent boy and I’m sure he understand and accepts why things happened the way they did. Thank you so much for sharing this – I’ve lost 7 little angels, all miscarriages, but one was my son’s twin, lost at around 4-5 months. I’ve always talked to him about his twin, and at grad we both cried – there should have been two brothers walking up to receive their diplomas, not just one. He’s written a poem about how he feels about his twin and had it tattooed on his forearm; it was his way of creating a permanent reminder of him. The book looks amazing, wish I’d had it back then! I can’t imagine how hard it must be to tell your children than their sibling died, especially when they are not yet born. I know it’s hard enough to explain death to children when a distance relative dies, but with a sibling is so much different. I am glad that this book exists and it helps parents explaining to children better what happened. Glad that there are books there to educate someone who need it. Most importantly the money raised by the boo will go to the charity joe. I’m in tears reading your article. I had twins and one didn’t survive and the pain really never goes away, but what the author wrote about the child always being with you, is so true! Kudos to the author for writing a supportive book on this important topic. I can not imagine how hard this would be. I have friends that have gone through it, but personally, I am dreading the day I have to explain about the dog when he goes. It is such a beautiful resource to have in such a hard time, and amazing for someone to tackle it so thoroughly that we don’t have to go it alone. I send many hugs to you! 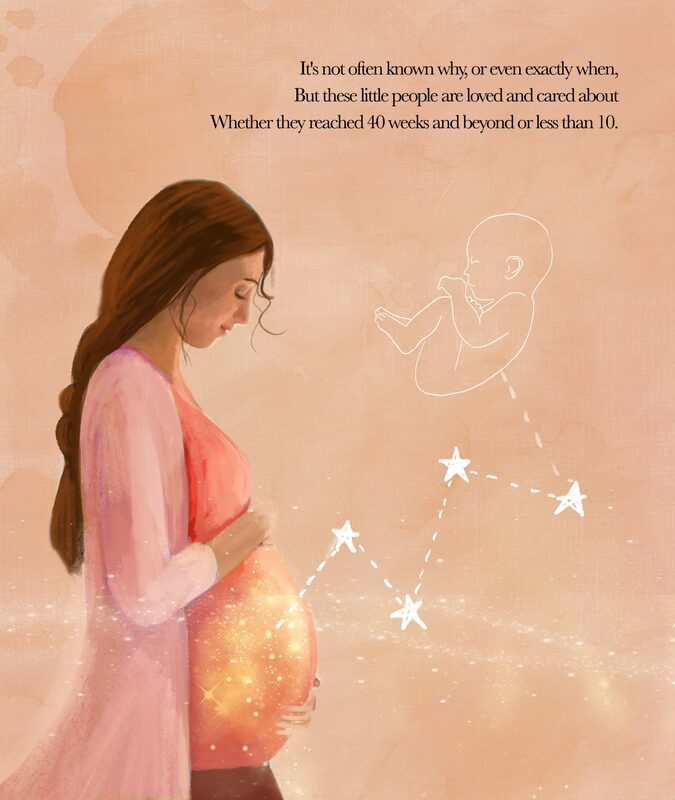 I think this book will be a great resource for families to turn to, it’s very hard at times trying to explain the loss of baby to your children. I love the illustration images. It is amazing how far we’ve come from keeping these situations secret and grieving in private, to being open and discussing it and marking the dates on our calendars. I am so happy that we are able to share in each other’s grief. THat’s the fastest way I know to healing. I can not imagine this heartache. Telling a small child about this must be so difficult, I could not picture telling my 5 year old something like this, but I feel like it is something we should be honest and open about. What a great book to help children through what must be a very confusing time for them and a painful time as well for all involved. So touching. What a great idea to write a book. Love the sentence that says you can still talk to them. They are always with us. Sometimes children appear to be taking things in and digesting it well, but I think we can be in danger of giving them too much credit. They’re little people, even when they don’t seem fragile. Having said that, I still believe honesty and openness is important. Finding that balance is a tough parental test. When you lose a child you lose a part of your soul. And you know what dear I admire you because you are very strong. I can’t imagine going through this, let alone having to also explain it to a child. The book sounds like a great idea. It is so hard to talk to kids about loss. This book seems like it will help a lot of kids understand and process their parents’ miscarriages or the loss of a sibling. The book looks amazing. I have lost a baby brother when I was younger and have experienced miscarriage as well. It’s just so hard to have lost someone. Hugs to everyone. Touching. I love the header logo…. somehow I knew then itself what I will be reading. Yes it is painful and coping up with the loss is a great deal. Every line here provides the strength and support to bear the loss. What an amazing woman drawing on her own emotional experiences to help other parents and siblings come to terms with the death of a baby. It’s so hard to talk to children about even the ‘that’s life’ kind of moments, I can’t imagine where to even begin with such an emotive topic. 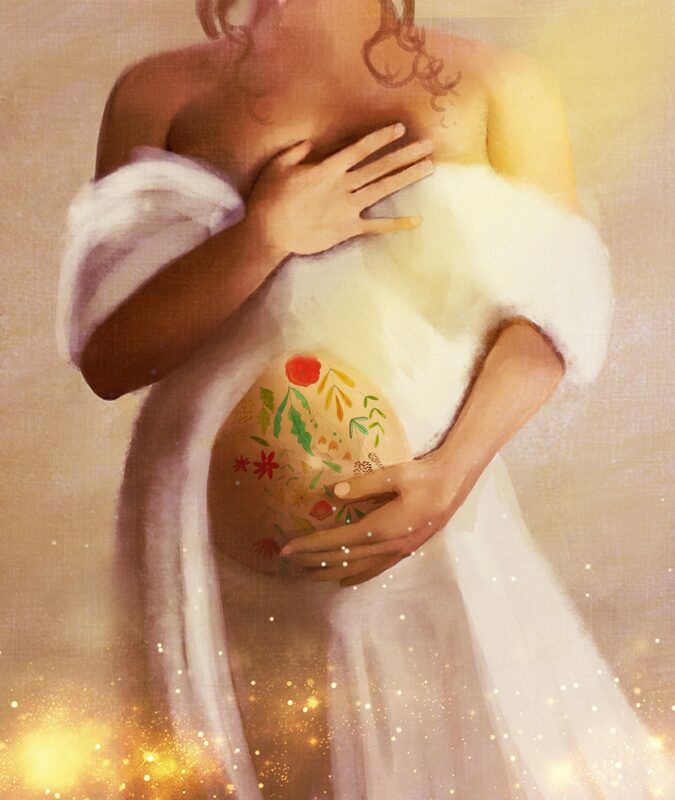 It is so true – like you said, the focus is so much on the parents but the older kids who are well-aware of mommy and daddy’s pregnancy will be going through loss as well. I think the book has some beautiful illustrations and can open up conversation on such a hard topic. I’m so sorry for your loss. 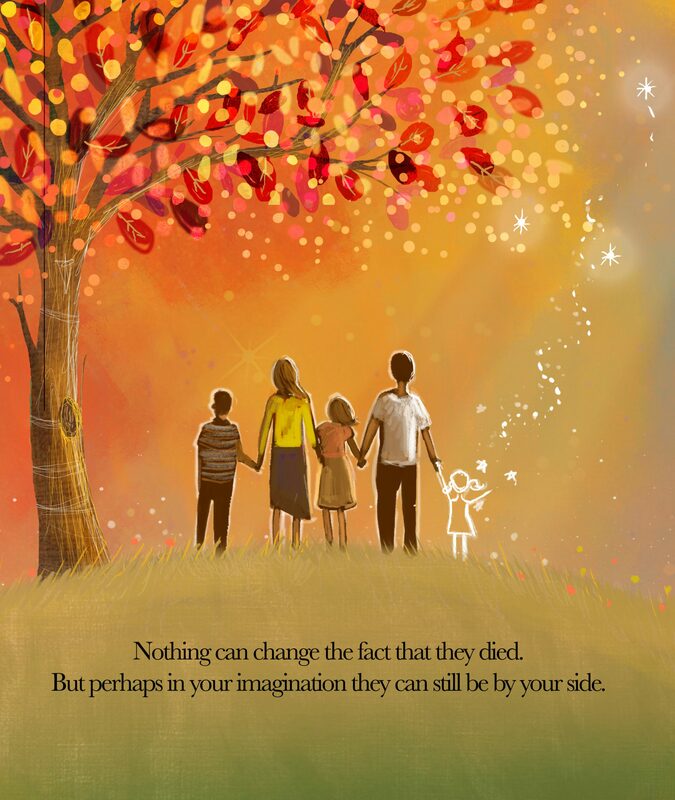 It’s good that there is a book that the whole family can read together to help both children and parents proceed their grief and find a way to talk about what they went through. This sounds like such a lovely book. I am lucky I’ve never had to have this conversation, it must be heartbreaking. What an amazing idea to write such a book. It is a really hard topic to cover with adults let alone with kids. Lewis seems to be such a nice little guy and I’m sure he understands now that you were doing what you thought was the best for him at that time. Don’t be too hard on yourself, you are a great mom! This sounds lovely! I’m lucky to never had to have this conversation because I can’t imagine how horrible that must be! I have not experienced this but I can’t imagine how other parents must have felt when they lose a child. This books can really help a lot. I can’t even imagine what you and your family have gone through. I’m sure that as your son grows older, he will understand your decisions not to, as well as your inability to involve him earlier on. It sounds like a great book that would help many families. Many people are unsure how to communicate a loss to children. I feel your pain and how hard it must have been to go through this turmoil. It must be hard to share your sorrow with a young child . I can’t imagine how upsetting it must have been. I teared up reading your article. Loss of a baby is un-recoverable. Telling children about loss can be so difficult. I applaud you for taking the time to explain especially the loss of another child. I can’t imagine how hard it must be to lose a baby and then have to try and explain it to another child. This is such a great and much needed post!! It really is hard for them to fully understand it until they hit a certain age. Either way, good parenting shows in this post! What an incredibly powerful book. This should be a stand item physicians and healthcare workers recommend to grieving families which could help them with their healing. This is a very painful subject and you have written the article very well. I can’t even begin to imagine what you must have been through. What a great post. I am sorry to read about your personal losses, but you are right: it’s important to bring awareness to this issue , because it’s always kept silent and it makes it hard to heal. I am a Heartfelt volunteer (we photograph still birth babies at hospital) and I never realised how big the demand is until I started doing it. Hopefully this helps the families to heal and have peace. This looks like a wonderful book. It’s so important to bring awareness to this subject like this, often it’s kept quiet when we should be talking about it. Very touching, love to check it out that book, Heart breaking it is really important to think about those angels who couldn’t live with us. Its great to know that we get these kind of books for people who are in difficulties… Its good to bring awareness about such kind of issues…. Honestly, if I were a parent who experienced this, I probably wouldn’t tell my first child either. There’s something about trying to shield them from pain as much as we can. I think this book can really help parents and their children communicate in a way that the kids will fully understand.